Home Blog	Make your daughter practice math. She’ll thank you later. 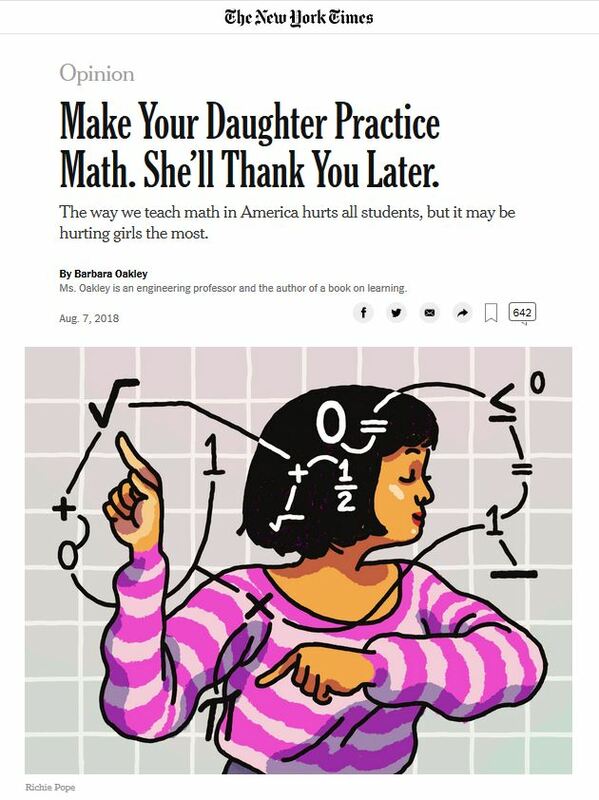 This excellent write-up in the New York Times is really important read for parents who want to encourage their daughters in STEM subjects, it’s crucial to remember this: Math is the sine qua non (the essential, crucial, or indispensable ingredient without which something would be impossible). You and your daughter can have fun throwing eggs off a building and making papier-mâché volcanoes, but the only way to create a full set of options for her in STEM is to ensure she has a solid foundation in math. Math is the language of science, engineering and technology. And like any language, it is best acquired through lengthy, in-depth practice. But for girls, this can be trickier than it looks. This is because many girls can have a special advantage over boys — an advantage that can steer them away from this all-important building block.